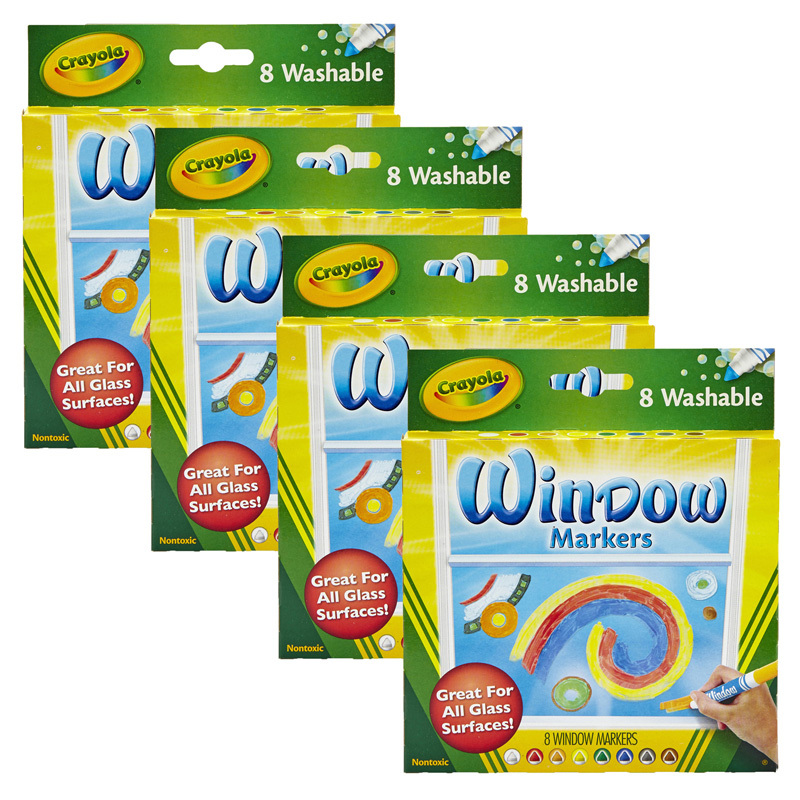 The Gel Washable Markers features 8 non-toxic washable markers specially formulated to wash from skin as well as most fabrics used in children's clothing. With Crayola Gel Markers, you can create cool effects on dark paper, poster board, plastic, foil, glass and more. Recommended for ages 4 and up. 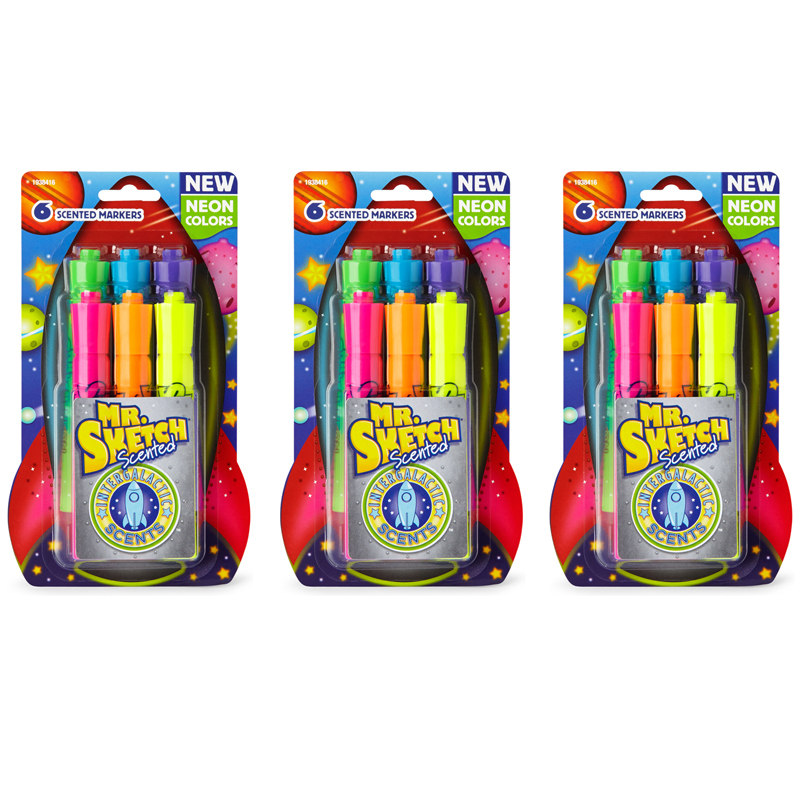 Sold as 4 boxes for a total of 32 markers. 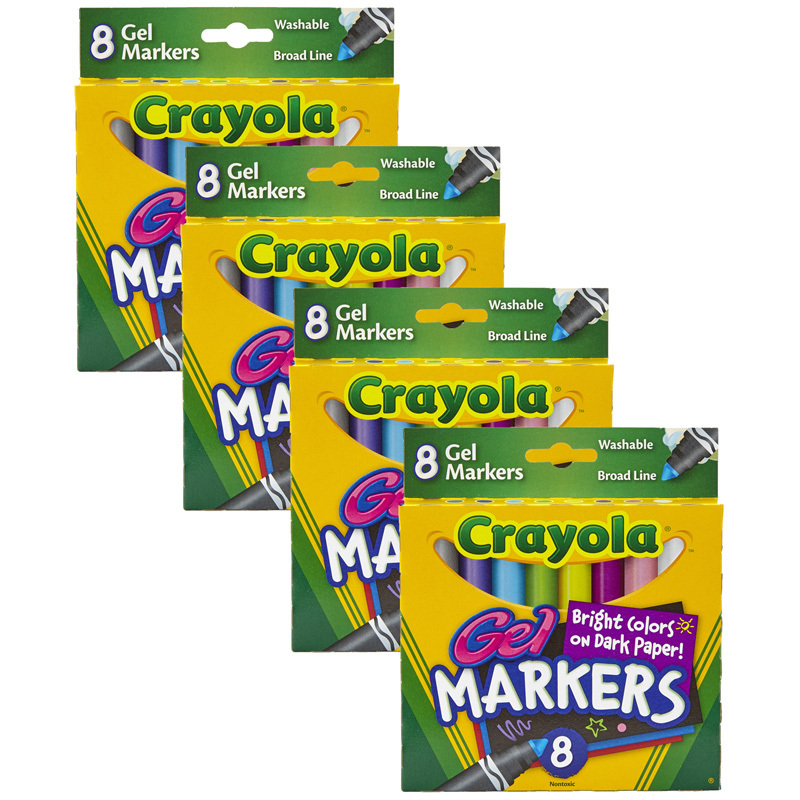 The (4 Bx) Crayola 8ct Per Bx Gel Fxwashable Markers can be found in our Markers product category within the Arts & Crafts.